Wiebe's Moving & Storage wants to take the stress out of your next move. As you prepare to move within Winnipeg, to another region of Winnipeg, or elsewhere in Canada, follow these tips when you’re packing and it can make the process much smoother. And don’t forget – you can come to us for packing supplies, or to hire us to help you pack your possessions. 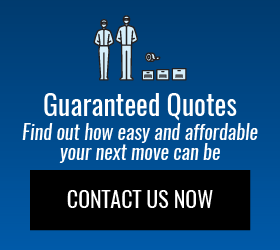 Contact us today for a packing quote. There are also some guidelines you can follow for specific household items. By following these tips, you can help ensure that your items arrive at your new home safely. Use two cube cartons. Cushion the bottom with crumpled up paper. Wrap each piece individually. Bundle utensils in groups of 3 and wrap the bundle. Cushion the top and sides with paper to prevent shifting. Use a picturebox. Line the bottom of the box with paper. Wrap the picture in bubble wrap, place it in the box, and then stuff the front, back and along the top with paper. It is sometime possible to pack more than one picture in a box; in these cases, separate them with a cardboard panel. Remove the light bulbs. Pack the lampshade in a separate box. Components and small electronics should be well wrapped and cushioned in either small (2 cubic feet) or medium (4 cubic feet) cartons. Large stereos and televisions should not be packed. They will be padded by driver and moved as furniture. Please note that electronics are not covered in the event of damage or breakage. Place hanging items into wardrobe cartons. For every 2 feet of closet bar you will need 1 wardrobe box. All other folded clothing is packed in medium (4 cubic feet) cartons. Place shoes in a medium box.